To install and start using Easy Youtube Video Downloader For Safari click this download link from Apple Safari, and select "Open" when prompted - after the download completes you will be prompted to Install the addon click "Install" to complete the process. 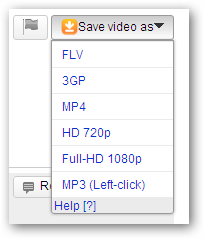 Once installed simply visit any Youtube video page and you will have "Save Video As" option to directly download the video in your preferred quality right on the webpage. The link to download this is broken. Is not broken, try -> "right click" on the link and then "save as" done :) you got your add-on. On Apple products like iPhone has Safari web browser so can I use it on the iPhone or is add-on specifically for the PC browser? 15th Jan 2011 and still broken!! Option click the link to download the file people. The extension does not seem to work with the latest mountain lion safari. I cannot see the button to save. I paid the $10.00 donation and then tried the download. No "install" or "open" prompt ever came. Nothing has been installed.